Today’s main news: Square pulls bank license application. Lendio facilitates 5K loans for California small businesses. Crowdfunding.de pass 500M Euro mark. Wisr doubles personal loan originations. Today’s main analysis: Deep dive into GreenSky. Today’s thought-provoking articles: How Kabbage’s president is shaking things up. Online lenders expected to increase exposure to ABS. Interview with PolicyBazaar CEO. Square withdraws bank license application. There isn’t a solid reason given other than they want to “strengthen some areas” of their FDIC insurance application, and they intend to re-apply in the future. It’s an interesting move, nonetheless. It makes me wonder what they’ll gain. Kabbage president Kathryn Petralia is shaking things up. Petralia is one of the most interesting leaders in the alternative lending space, and Kabbage is one of the more interesting companies. Deep dive into GreenSky. This PeerIQ analysis is a hard look at GreenSky and worth a few minutes of your time. Lendio facilitates over 5,000 loans for California small businesses. Congratulations. Auto lending is booming and it’s a problem for credit unions. Online lenders expected to increase exposure to asset-backed securities. How fintechs are transforming financial services. Finastra positioned as category leader in Chartis’ credit risk solution quadrants. 5 ways to accelerate financial inclusion with technology. How social media can impact venture capital raising. Wisr doubles loan originations. Congratulations. How a Greek idea transformed the loans market. The human side of robo-investing. 4 ways technology will remake financial advice. China: More P2P lenders collapse under regulatory scrutiny. Germany: Crowdfunding.de passes 500 million Euro mark. France: Kleros partners with MARKET protocol for decentralized derivatives trading. India: Interview with PolicyBazaar CEO. India: Millennials weigh P2P lending. Japan: Maneo Market faces penalties. Malaysia: An invitation for crowdfunding, P2P lending operators. Israel: Benson Oak sets up dedicated investment fund. The news comes as it was reported in September that Square intended to submit an application to form a wholly owned and operated bank in Utah. That business unit would be called Square Financial Services Inc. and would be designed to offer loans and deposit accounts to small businesses. The bank would be capitalized with around $56 million in cash. When a family friend asked her to be involved in a tech company he had invested in, she realized technology could be used to give people what they need faster and better than before. She ditched her graduate degree program in English to jump at the opportunity to join the tech industry. KBRA released its latest consumer loan indices report that showed net losses ticking up on high quality Tier 1 loans, however losses are lower on Tiers 2 and 3 loans. A study by the New York Fed found that online lenders reduced mortgage processing time and experienced lower overall delinquencies. The study found that mortgages offered by fintech companies closed about 20% faster and showed that default rates were 38% lower for purchase loans and 29% lower for refinance loans. GreenSky, headquartered in Atlanta, is led by CEO David Zalik. GreenSky has a $4 Bn market cap, 2017 revenues of $326 MM, and employs ~900 employees. GreenSky has funded over $12 Bn in loans for over 1.7 Mn customers. The company funded $1 Bn in loans in Q1 2018. GreenSky has shown impressive growth in its sales YoY. As seen in the charts below, GSKY had net income of $139 Mn in 2017, up from $124 Mn in 2016, while sales grew by 24% YoY to $326 Mn. Does GreenSky Get Credit for Marketplace Lending? Online small business lender Lendio announced on Thursday it has helped facilitate nearly $120 million in growth capital through more than 5,0000 to small businesses in the state of California. The lending platform has reportedly funded more loans in California than in any other state and the funding milestone comes just after a 169% increase in loans originated through Lendio’s platform in California during the last fiscal year. Lendio also reported that according to a Federal Reserve Bank of Cleveland report, nearly half of small businesses need additional funding each year; however, since 2008, it’s been a challenge for small business owners to access financial capital. The lender noted that continued growth and innovation in online lending platforms is transforming the funding landscape. Lendio helps California small businesses get loans fast, with 70 percent of businesses getting loan offers within three days of submitting an application. Credit unions love an auto lending boom – what’s not to like? According to one analyst, however, there could be more happening than meets the eye. Vehicle sales continue to hover around the 17 million mark, according to the latest Credit Union Trends Report from CUNA Mutual Group, and CU auto loans amounted to more than $354 billion as of April 2018 – an increase of nearly $80 billion from just two years prior. Auto lending at credit unions has grown by double digits (as a percentage) for the last two years. A survey of 57 institutional investors by Managing Partners Group, released on Friday, found 60 per cent expect their exposure to ABS to rise over the next three years. 25 per cent of respondents said strong growth in fintech companies, including alternative lenders that prefer to raise capital via ABS, was a factor driving increased supply. Rating agencies predicted a boom in P2P securitisations, but the only activity in 2017 was a £208.9m Zopa deal, led by investment trust P2P Global Investments. Moody’s recently told Peer2Peer Finance News it expects more securitisations this year, while fellow ratings agency S&P Global has predicted a 30 per cent increase in securitisations from marketplace lenders during 2018. China is home to the largest P2P industry in the world – an accomplishment that was aided by the fact that at the beginning, few rules were in place to regulate the online lending industry. But during the past year, Chinese authorities have tightened the rules pertaining to platforms who operate P2P sites. P2P lender Yilongcaifu reportedly collapsed with its parent company Fuxing Group shut down as it fell under a police investigation. Early-days monitor of the German crowdfunding market, Crowdfunding.de announced in its latest quarterly report that Germany passed the half billion-euro mark in cumulated in SME crowdfunding at the end of June 2018. The report monitors only equity crowdfunding and crowdlending on marketplaces open to German retail investors such as Exporo, Funding Circle and Companisto. It does not include private platforms such as SME lender Creditshelf. Real estate accounts for more than half of the SME crowdfunding market (53,3%). It is the fastest growing segment, set to more than double in size this year, after having tripled in size in 2017. Enterprise funding represents 42.6% of the market. Renewable energy project crowdfunding remains small at 3.8%. The rankings are featured in a recent report published by Chartis, titled Technology Solutions for Credit Risk 2.0, 2018, which assesses the technologies that are addressing the speed, flexibility and risk profile of the lending market. Financial inclusion probably won’t narrow the gap between the rich and the poor. In fact, some of the greatest inequalities exist in some of the wealthiest countries. But it can give the poor a means of building a better life and taking advantage of the social and economic benefitsthat access to banking brings. So how can we accelerate financial inclusion through technology? Here are the top 5 ways. Social media enables startups to broadcast information about themselves to a wide audience. As startups gain followers, their activities can attract attention of angel investors who are looking for opportunities, but who often lack the organizational structure to research them. According to the study, 60% of startups use Twitter to spread awareness; 47% use Facebook; and 36% use LinkedIn. The Wharton study focused specifically on how startups leverage Twitter and their success rate in acquiring angel investment funding as a result. ASX-listed lender Wisr (formerly known as DirectMoney) has revealed that the overall value of loan originations in the second half of the 2018 financial year increased by 136 per cent compared to the first half, while the number of new customers rose by 118 per cent over the half. Further, the lender achieved a 66 per cent quarter-on-quarter (QoQ) growth in loan origination value and 40 per cent QoQ growth in loan origination volume in Q4 FY2018. 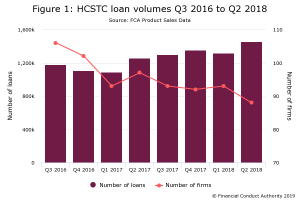 This is up from the 42 per cent QoQ growth in originated loans recorded in Q3 FY2018. Wisr said that its average loan amount also rose by 17 per cent QoQ to $22,670 by the end of Q4 FY2018. However, despite these tailwinds, the take up of digital advice in Australia has been relatively modest. This compares to the United States where a significant proportion of investors are embracing technology-enabled advice solutions, such as Betterment and Wealthfront. Home-grown Australian providers, such as Clover and Stockspot, have made inroads with their low cost, automated investment offerings. The challenge remains for consumers to create a human connection with digital investment advice. That is what makes the story of former Essendon and Sydney Swans premiership player Ted Richards and his collaboration with robo adviser Six Park so interesting. Third, ironically, is the exit of big banks from manufacturing wealth products. With $100 million earmarked for DocPrime for the next two years, Yashish Dahiya, Co-founder and CEO of PolicyBazaar, speaks about the architecture of the new venture and how they plan to cross-leverage product from their existing companies. And fuelling this ambition was Softbank’s Vision Fund, which along with parent Softbank, has invested overall $8 billion in the Indian internet ecosystem over the last five years. Softbank wasn’t alone in leading this Series F round of $200+ million. The Japanese conglomerate was joined by existing investor InfoEdge, which runs Naukri.com and reportedly invested close to $45 million in the deal. With traditional investments like savings and fixed deposits she found that returns were just too low. To invest in real estate, she needed upfront and large amount of capital and investment in gold was not yielding returns like it used to. While she dabbled in mutual funds and SIPs (systematic investment plans) she realised that to earn 12-15 per cent returns, she had to be invested for 3-4 years, if not more. Tokyo-based Maneo Market overlooked misuse of funds that a client collected from investors, according to regulators. The Securities and Exchange Surveillance Commission recommended on Friday that the Financial Services Agency impose administrative penalties on Maneo Market. On behalf of a client named Green Infra Lending, Maneo Market raised roughly 13 billion yen ($117 million) from 3,084 investors to finance projects inside and outside Japan, promising annual returns of 11% to 14%. Prague-headquartered investment banking firm Benson Oak is setting up a dedicated investment fund for the Israeli market, the firm announced Sunday. The fund, which will focus on blockchain and consumer-facing companies, has already raised $25 million with the intention of raising a total of $100 million by the end of the year. Benson Oak’s capital comes from private investors, strategic companies, and family offices, and the firm does not partner with institutional investors. The new fund will target seed-stage companies and is expected to announce two portfolio companies in the upcoming days.